The Isle of Eight Flags Shrimp Festival is a collective of fun things to do and see. From the playful pirate-themed costume contests to the variety of local master musicians performing, the Isle of Eight Flags is a celebration of everything that makes Amelia Island so endearing. 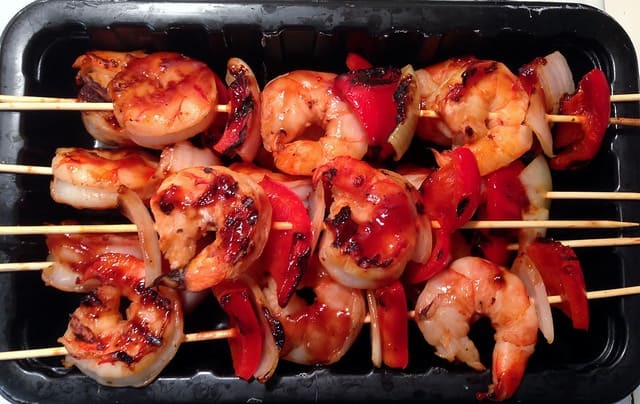 What is the Amelia Island Isle of Eight Flags Shrimp Festival not? You can experience a little piece of anything and everything that makes this famous festival one of the greatest in northern Florida. Below we take a brief look at all the small parts of the event, and how they culminate in the best of all Amelia Island seafood festivals. The event is May 3rd to May 5th. Schedule times for performances, contests, pageants, and more are yet to be finalized. Check on the official website closer to the event for more details or contact us for help. The majority of the events will occur in downtown Fernandina Beach on Amelia Island. The titular main attraction is, of course, shrimp, and there’s plenty of it. 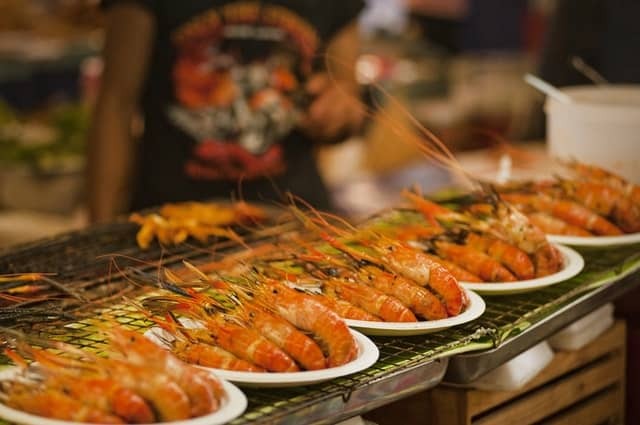 Tents will line the event with shrimp skewers, shrimp bowls, and more. The event is also a showcase for all Amelia Island food and culture, most notably seafood. You are bound to find fish sandwiches, baskets of fried scallops, and crab cakes, among others. All vendors are required to be organized, staffed, and run as a Nassau County non-profit organization. This fascinating distinction really makes the event part of the grander community of Amelia Island. This isn’t just another for-profit venture. Everyone here is truly doing it as a passion. Interestingly, the shrimp part of the festival only scratches the surface. Guests will come across a multitude of different activities and things to do for a variety of ages. Kids will adore the various contests, which should include the Memorial Beard contest (who can make the best beard from scratch? ), the little pirates costume contest (bring your own eyepatches! ), and the pirates in training contest (who is truly the best pirate amongst ye?). There’s also likely to be food-related contests, such as one for eating the most ice cream. An event highlight is the announcement of Miss Shrimp. This pageant is open for High School Junior or Senior Nassau County residents. Kids can also let loose. The Kids Fun Zone is expected to feature numerous activities, like painting, carnival games, rides for the tots in your group, and specific kid-friendly treats. The event is a celebration of all the parts of Amelia Island’s history and culture, and this includes the art. The Island Art Association, Inc. hosts the arts and craft portion of the Shrimp Festival. Come on down in the mornings and afternoons during the event for fine art and crafts, antiques, and open-air entertainment. Expecting to eat a lot? Perhaps you want to take part in the Shrimp 5K. It is open for individual athletes and families alike. There will be four runs in total: the 5K Run or 5K Walk, a one mile Katie Caples Youth run, and a ½ mile Popcorn run. The run will commend on the morning of May 3rd. Details are yet to be announced but it is expected to begin in Fernandina Beach by the marina. The Isle of Eight Flags Shrimp Festival is one of the most accomplished and popular events for the community. If you are visiting during the event, settle on a vacation rental right by the water. Get transportation into town and back out to settle down for the evening away from the crowds. This is an amazing event and worth seeing at least once in your lifetime. With shrimp, music, costume parties, water views, antiques, local crafts, and everything else in between, you are bound to fall in love with some special part of the event.